HeirShare will provide the proper storage materials and will organize them to match the organization of the digital image files. 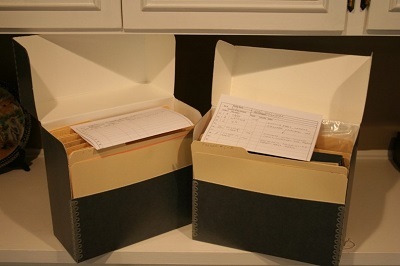 We will use acid-free, buffered and unbuffered folders, envelopes, clear sleeves and storage boxes to assure preservation of the items for the longest time possible. We will provide an index for each storage box with a general listing of the contents. Generally, the options in organization are by time and date, by place, by person, or by family tree branches. The objectives will be to make the information easy to find and easy to browse. HeirShare will create names for the files and folders to facilitate this. The importance of properly storing the originals cannot be overemphasized. The use of acid-free containers will contribute to the longest preservation of the material so that it can be passed on to caretakers from generation to generation. "When we were young, our grandparents tried to tell us about their history, and we didn't care because it didn't interest us at the time. Later on, we wish we had written down what they said." Ready to Record Your Family's History? Family documents and images give shape to our lives and reflect who we are: personalities, interests, values, activities and relationships. Create a gift for your family and their families.